EXCLUSIVE / The EU may be reluctant now but it will inevitably accept to mediate in the separation of Catalonia from Spain and the presence of the new Catalan state within the EU, Joan Maria Piqué told EURACTIV in an interview. 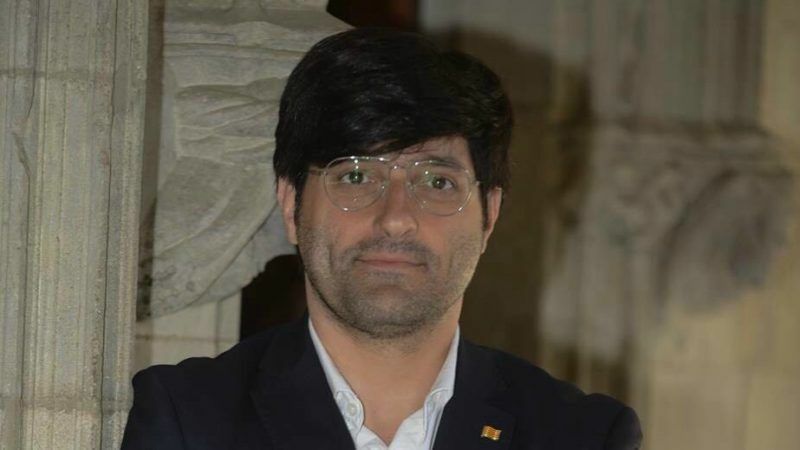 Joan Maria Piqué is the director of international communications for the Government of Catalonia. He spoke to EURACTIV’s Senior Editor Georgi Gotev. What are your plans? Is independence going to be declared on Monday? We haven’t decided yet. A lot of things are under consideration. The transition law that was approved by the Catalan parliament is clear and we will fulfil it, but the president, the government and the parliament will decide how they accomplish what is stated in the law. On Monday the parliament will be in session, President [of the government] Puigdemont is called to explain to the chamber the results of last Sunday’s referendum, and then the parliament will decide. In what terms is he going to explain the results? I’m asking because it looks like there is no majority of people who have voted for independence, given the turnout. I have to disagree. The result is clear for us. Every analysis shows there is a majority for the independence of the country. I can understand your doubts, but they are not your responsibility, they are the responsibility of the brutal aggression by the Spanish government, who sent riot police to beat and humiliate, and to torture peaceful voters. Their only crime was that they wanted to cast a vote. This should be the shame of Europe. Of course, this is the shame of Spain. Nothing like that has ever happened in a Western democratic country – riot police to be sent to beat, not even peaceful demonstrators, but peaceful voters. People who were just queuing in front of a polling station and wanted to cast a vote. This should not be tolerated. Europe should take a stance. Every country, every leader should take a position so that this never happens again. Authoritarianism in Europe should not be tolerated. The vote took part with normality in almost 95% of the polling stations, and the others suffered the aggression of the Spanish military police. The turnout at the places where there was no aggression was 50-60-70%. And the majority for independence was clear. And the Spanish government knew it was going to lose the referendum if it were to take place in normal conditions. This explains the harsh brutality of the Spanish police, the images are there for all to see, we don’t need to add anything to that. I’m sorry, but I have to disagree. The referendum was not illegal. Calling a referendum is not illegal under Spanish law. The Constitution says nothing about referendums. And in the penal code, there is nothing about calling a referendum illegal. [Former PM] Zapatero took this out from the penal code. And in any democracy, when something is not in the penal code, it’s not illegal. That’s how it should be. This is our first point. Our second point is that it was not illegal, because there was a law in the Catalan parliament that governed it. But even in the case that it would be considered illegal by some, which it is not, and I insist, this does not justify beating, mistreating, insulting people, as the Spanish police did. Saying that democracy creates fractures is the favourite argument of the totalitarians. This was an argument being used very intensively by Franco. This is why they didn’t vote in Spain for 40 years. This is pure nonsense. We know that Europe is not fast in adapting, we remember all the warnings Europe sent to the Baltics, or to Slovenia, or to other new countries that arose in the 20th century in Europe, against proclaiming independence. But most of those countries are now EU members and even preside the EU when is their due time. But in the case of Catalonia, it will be the other way around. If your independence becomes effective one day, Catalonia will find itself outside the EU. I completely reject this affirmation. I’m sorry, but these are personal opinions from spokespersons from the Commission who are expressing their personal views. The European Commission has never pronounced itself by text, and there is no memorandum about this, because no country has asked for such a position. I know Margaritis Schinas and we have a good personal relationship, but he is nothing more than an employee of the European Commission. Would it make a difference if Commission President Juncker repeated it? What would make a difference is if the Commission gets an official petition from a member state, asking what would happen if a member state split, what would happen with the two parts of it. And then the Commission should make an official statement, and a lot of analyses and a paper on that, this would be an official position. Apart from that, everything else is personal opinions intended to scare voters, because we understand that Europe doesn’t want another problem on the table. But the situation is that 80% of the Catalan people want to vote in a referendum about self-determination. This referendum took place last Sunday, it was clearly won by the ‘Yes’ side, and now the Catalan government, the Catalan parliament, have a mandate from the Catalan people. Catalonia could be expelled from the European Union only if Spain recognises it as an independent state. But this would mean there is an agreement between Catalonia and Spain, because recognition comes from an agreement. But if there is such an agreement for recognition, what is the point of expelling Catalonia from the EU? It’s in the benefit of no-one. It’s not for the benefit of Spain – 55% of all exports of Spain go through Catalonia. Are they going to pay tariffs? There are 9,000 multinationals in Catalonia, most of them European. Are they going to pay tariffs? What is the point of expelling 7.5 million Europeans from a country that is a net contributor to the EU budget? Expelling a country that has Barcelona, the most dynamic and attractive city in the south of Europe? The only point would be revenge. But revenge doesn’t serve the common interest. So this is not going to happen. I’m not so optimistic, because the situation is likely to worsen, and the only thing that can prevent a very serious aggravation is mediation. And it looks like your government would like the EU to be involved, although the EU doesn’t want to, because Spain is a member country and such mediations have never been the case before. They never thought of bailing out Greece and they didn’t have a mechanism to do this, they never thought of approving sanctions against Austria, they never thought of changing the prime minister in Italy. The EU has done a lot of things they thought they will never do. And again, they have done them. Because this is what reality is all about. Reality is not something contained in textbooks. Reality is something that is in motion. The EU will do what it has done always, with initial reluctance and after that, with pragmatic acceptance. Remember how Cyprus entered the European Union – it’s a country that is divided. And how Eastern Germany joined, overnight, without complying with any of the European regulations. The EU always finds a solution for every problem. And they will do it when they see the interests of the member states are at stake. We are starting to realise that the respect for fundamental values, for democracy, civil rights, are not in the core business of the EU anymore. And it is in the hands of the EU to change this perception. In the end, things are very simple. If there is a majority of the Catalan people who want Catalonia to become an independent state, this will happen. Full-stop. Because in a democratic Europe the will of the people cannot be forced. You cannot tell the Catalans they are forced to stay with Spain, a country that sent its riot police to beat them when they wanted to vote, with a country whose head of state makes shameful statements, aligning himself with one party in government. You cannot force the Catalans to remain with Spain because this is not democracy. If the EU is not about democracy, what is it about? I’m really not sure the EU believes a majority of Catalans want independence. This is pure nonsense. How do you do a coup d’état with ballot boxes and peaceful voters? A coup d’état was done by sending riot police to beat people. 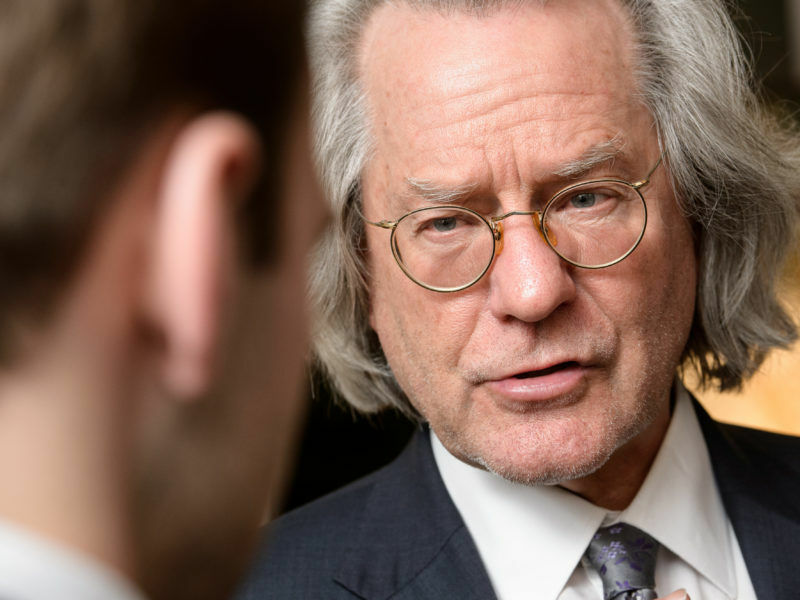 Brexit is politically illegitimate, and when the chickens come home to roost, reality and pragmatism will kick in and the Remainers will win the day, Professor A. C. Grayling said in an interview with EURACTIV.com. People might say you are provoking such a scenario. The Catalan government wasn’t queuing at the polling stations. Peaceful people were there, and they faced aggression. And you are not saying a single word about that. In which world do you live? You are in Brussels. In which world do you live? What I can tell you is that in the Brussels pressroom there was enormous outrage at the violence, and also outrage for the lack of strong condemnation on behalf of the Commission. But there is a feeling in Brussels that you are at loggerheads, you, an extremist type of government in Catalonia with an extremist type of government in Madrid, and that this is going nowhere. A lot of people here think Catalonia may find itself outside the EU, the question being ‘didn’t you learn from Brexit’? This divorce is such a messy thing. Brexit has nothing to do with us. Of course, I don’t like Brexit, I would have voted Remain. I still believe in a European project, although not this one, which is highly cynical and irresponsible. Brexit could have been avoided if the EU had been involved a long time before. In the case of Spain, they should have distributed the charges of austerity in a more fair way. But they never did that. We went to Brussels several times. We met a lot of commissioners. We warned them about what was going to happen. Yesterday the Spanish market fell heavily. It’s going to fall more because this is what happens when there is no solution for the problems. The sooner the EU gets involved in a mediation, the better everyone. You need the EU, but you just called it cynical. It’s going to be difficult. When you see the reaction of the European Commission to the images we saw on Sunday, and imagine your mother, your sister, your brother being pulled by the hair out of a polling station by Spanish riot police, what would you say? So what would be the ideal solution, a divorce like in Czechoslovakia? This is indeed a model for everyone. Things can be done in a civilised way. Yes, but in Czechoslovakia, the will of the whole population was taken into account. If the whole of Spain votes there will be no divorce. This is complete nonsense because we are only 16% of the population. This means that the brutal majority of the Spanish people would impose itself over Catalonia again. We are a national minority but we are not respected as one. Did the whole of the EU vote for Brexit? Did the whole of the UK vote for Scottish independence? Did the whole of Canada vote for the Quebec independence? This is nonsense and Spanish propaganda. Of course, and states help each other, this is quite logical, but we continue to think that in a project founded on democracy, if the Catalan people make their voice heard, it will be heard. We will prevail, as Slovenians, Czechs, Slovaks have done in the past. I know it’s going to be difficult, because all the international relations are created by the states, and it’s not easy to become members of the club. In the last century, 21 European countries have become independent. This is something that happens all the time. If Austria can be a state, if Malta can be a state, if Finland can be a state, why not Catalonia, if the Catalans want to? Aren’t you afraid that members of the Catalan government, you included, may end up in jail? Nobody wants that. But you have seen the massive mobilisation of people. If this is the only way they know, so be it. But this will not solve the problem. You cannot stop a spring just with your hands. There is a slight mistake in the interview: the “whole population” of Czechs and Slovaks did not vote for independence in 1992. There was merely a deal made between two prime ministers and their political parties followed them in the vote on dissolution of the federation in the Parliament. Europe shouldn’t make the mistake of thinking this can be brushed off. Spain is also a mirror for the EU to look into- not pretty is it? A central government that would otherwise rule by a mixture of corruption, terminal intransigence and resorting to force, could on the other hand surely be brought to a higher democratic standard, to self-awareness and tolerance, by the requirements of EU membership. Changing Spain’s constitution to guarantee deficit limits was achieved this way, after all; limiting policy options at national level is therefore nothing new. The resulting austerity measures in Catalunya particularly harsh, fed the interest in independence which has acted as an illogical pressure valve. Now the Independentists will call the EU’s bluff, with Spain’s debt. Mr Piqué no está tonto. If we are to have a strong Union of hearts and minds- not a European Union where you can only think ‘this could happen to me, tomorrow’- then there has to be a clear denunciation of the Spanish government’s treatment of its people. Justice (anti-fascism) has to be a priority of the EU- however hard it is to renounce the use of force against dissent. There is moral work pending that should have been done back in the 80s. The result of not doing that work (justice and reconciliation) is the Cara al Sol being sung at anti-referendum demos and the Guardia Civil being sent off to the ‘front’ to cheers of ‘go get ’em’. De aquellos barros, estos lodos. An illegal “referendum” where some 40% of the population votes for independence is hardly convincing Catalunya. I would gladly see you have a real referendum and even welcome you as a new EU member but ONLY IF a convincing majority of your people actually supports that idea. And that is by no means certain. Under the present conditions the EU can only say no. Yes Madrid needs to talk to you. No, repression is not acceptable in Europe, but the EU does not have much power to enforce that. It really should come from others in Spain. I don’t think you would accept an illegal referendum or or let splitt Spain in pieces and then accept more separatists in the Union because that will End the E.U. directly since the E.U. without a constitution is breakable . IF Spain breaks then the EU as well because other countries don’t want to be splitt too . In Interests of the EU to maintain Integration and more unity in necessary . But fully agree with you . I follow the discussion on this in Germany and everybody agrees that none of the regions could leave under the current German constitution. And article 155 of the Spanish constitution was actually modeled on article 37 of the German Grundgesetz. It allows the federal government to stop secession “by all necessary means”. The Catalonian referendum was illegal under the applicable Spanish law, it was illegitimate since nobody in Catalonia is actually oppressed, and it was run with so many flaws that it would not count even if it were legal and legitimate. Not even banana republics invite citizens to print their own voting slips and dump them in ballot boxes that are standing on a street corner. There was not any referéndum. The consultation was ilegal as the Regions do not have legal capacity to hold a referéndum and the Constitutional Court banned this consultation. Moreover, there was no control about the people voting. The images of people voting several times in different polling stations is a clear evidence. This is the real Catalonia, a tricky and selfish issue. A problema for the Democracy where in the last 3 decades the rule of Law does not exist. It is out of cuestion that the referendum was illegal. That was the ruling of the courts. Piqué certainly lives in an alternate reality. Now not only the government in Madrid is authoritarian but also Verhofstadt and probably anybody that has a different opinion on the matter than Piqué and his friends. I am strongly in favour of communication between Madrid and the catalonian nationalists. However seeing that they are not open to arguments at all I’m not sure talks will sove the problem. Extreme nationalism is a cancer and I’m not sure we have suitable anti-dotes. There will be no independence in the E.U. @Jesus G explained already why . Morover Spain would apply the Art.155 in worst case . I believe strongly that It’s not in interests of the Commission nor EU Parliament to accept illegal and self-proclamed Independence with separatists and proffessors on the lead who endoctrinates children psychologiycally in a repressive way in schools thus during more than 30 Years . All planned slowly and hiddenly by indepentists . What I’ve heard (apparently) that Puidjemont and Co. have asked hiddenly an incredible amount of Money from Switzerland to form a planned Republic and desintegrate Spain thus against the law against the King Against the people of Span against the democracy of Spain. Against every Spanish and European values. I know the Governement neither the whole population in Spain would let that pass . The partido PP slept a little bit but they have to act for dialog but a dialog which doesn’t separate Spain . There are a lot Catalans and the silence majority who knows the perversity of the Generalitat over their Intentions over the last 2 decades . That happened in 1981 and now again and has to stop again . Myself as half bloodly southern I would never let Spain be breached that way by bunch of separatistic outlawed . A la Unidad – Espana ! The new Catalonian Republic would need quite a lot of purely technical and legal arrangements to be an EU member. Approval of a Commissioner in the EP, elections for MEPs, a decision on Council voting rights, a statistical office in order to calculate budget contributions etc. etc. The whole acquis would need to be transposed into Catalonian law. All of that needs to be set out in an accession treaty. There is no way of making informal arrangements. And that means a Spanish, French and Belgian veto. It means referenda in Finland, Austria, France and the Netherlands. At best this is a few years off during which Catalonia has no currency (and certainly not the Euro for which it would not even qualify), it would be outside Schengen, diplomas would not be recognised, and there would be no agreement on air transport. To name just a few issues. Catalonia would not be what it is today by the time it could possibly accede to the EU.